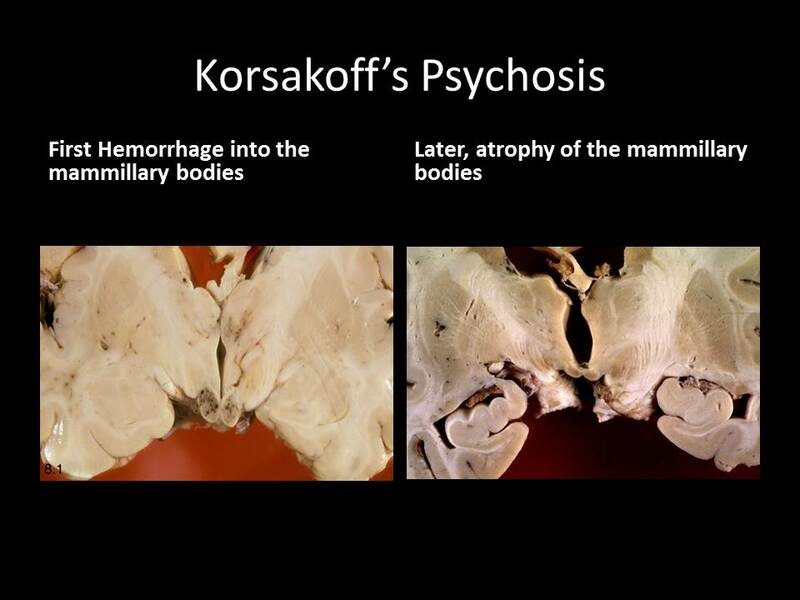 Korsakoff’s syndrome, now usually referred to as the Wernicke-Korsakoff syndrome, is a severe anterograde learning defect associated with confabulations. These patients have difficulty encoding and consolidating explicit memory. Storage is mildly impaired, but retrieval and new learning are severely impaired. The lesions caused by thiamine deficiency occur in the hippocampus, the mammillary bodies, and the anterior and dorsal nucleus of the thalamus, and disrupt the Papez circuit.